The DMM Classic Rope Bag carries an 80m rope and a few extras, the full size tarp keeps your cord dirt free, and the clever strap system allows either a rucksack or a courier style carry. 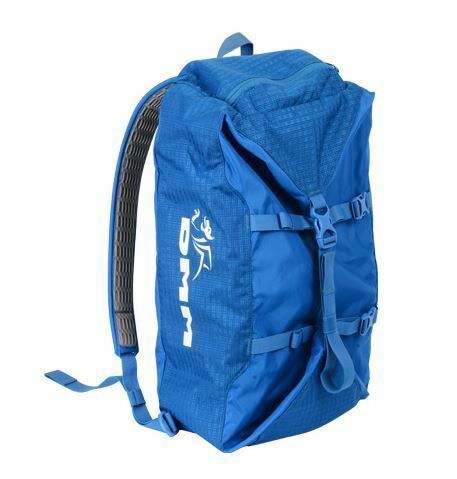 Use it as a rucksack on its own, or convert it easily to a courier bag with the padded straps. Large rope tarp with colour coded tie in points. Large enough for an 80m+ single rope or a pair of 60m halfs with a few extras. Zipped valuables pocket. 31 litre capacity.